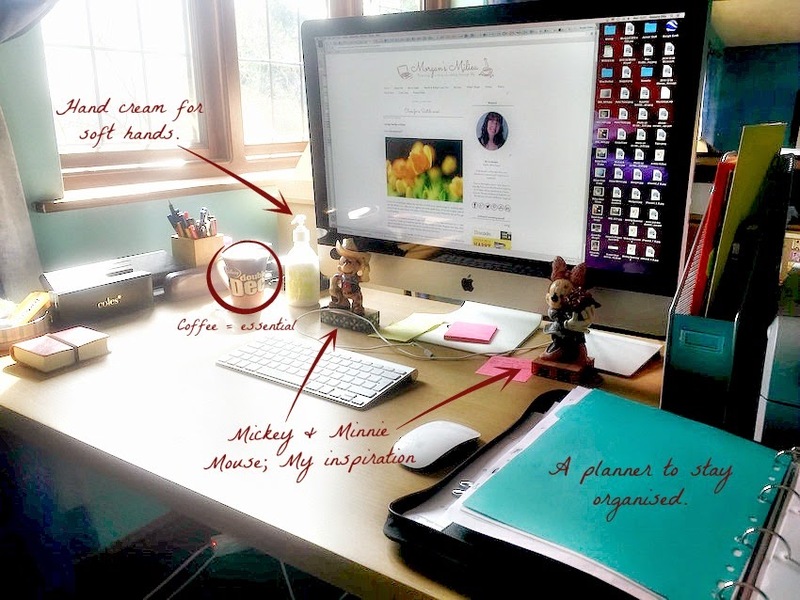 I have a real desk (bought from IKEA), an iMac and Mickey and Minnie mouse to keep me inspired. The view from my window is lovely and I have a door that can be closed. When I first started blogging I never dreamed that it would become a real thing. I didn't think people would want to read my words but it turns out I was wrong. The boys think of blogging as my work, the Hubby is encouraging me and even I have to admit that I love referring to it as my work. That's why I had to enter Pen Heaven's competition, simply take a photo of your workstation, tweet it to them and you could be in with a chance of winning some fabulous stationery worth over £200. Why not snap a photo of your workstation and send it to them.